In what could be seen as a reflection of his popularity across the border, tributes were paid to veteran actor Shashi Kapoor at a memorial held in Peshawar. 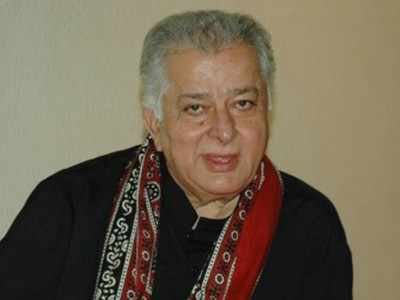 The Kapoor family's ancestral home is located in Kissa Khwani Bazaar of Peshawar's old city in Khyber-Pakhtunkhwa province and was built by Raj and Shashi Kapoor's grandfather in 1918. In 1942, the head of Kapoor family sold the house and migrated to Mumbai. Several film personalities such as Amitabh Bachchan, Salim Khan, Shah Rukh Khan, Anil Kapoor, Rishi Kapoor, Randhir Kapoor, Sanjay Dutt, Ranbir Kapoor, Naseeruddin Shah, Nawazuddin Siddiqui, Supriya Pathak, Shakti Kapoor and Suresh Oberoi attended the star's cremation, held in Mumbai on Tuesday. Pakistani historian Mohammad Ibrahim Zia, who has written Peshawar Ke Fankar, a book on Hindi cinema stars hailing from Peshawar, spoke about meeting Shashi in 2014 and how the Indian actor hosted them in his house. Despite leaving Peshawar, the Kapoors always fondly remembered the city.